Join The Cheese Board on Wednesday, Sept 9th, for a quick course on making burrata. In two short hours, you’ll learn how milk turns into curd, how curd turns into mozzarella balls and how mozzarella balls turn into luscious, cream-filled burrata. All participants will bring home their own 8 oz. 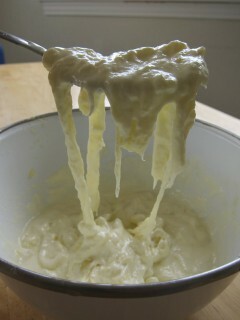 just-made ball of cheese plus the knowledge of how to do it again. Class will be lead by The San Francisco Milk Maid, author of the just-published book on home cheesemaking, Kitchen Creamery. Ticket price includes instruction, tasting, and take-home cheese. Books will be available for sale and signing. Purchase a ticket at Brown Paper Tickets. 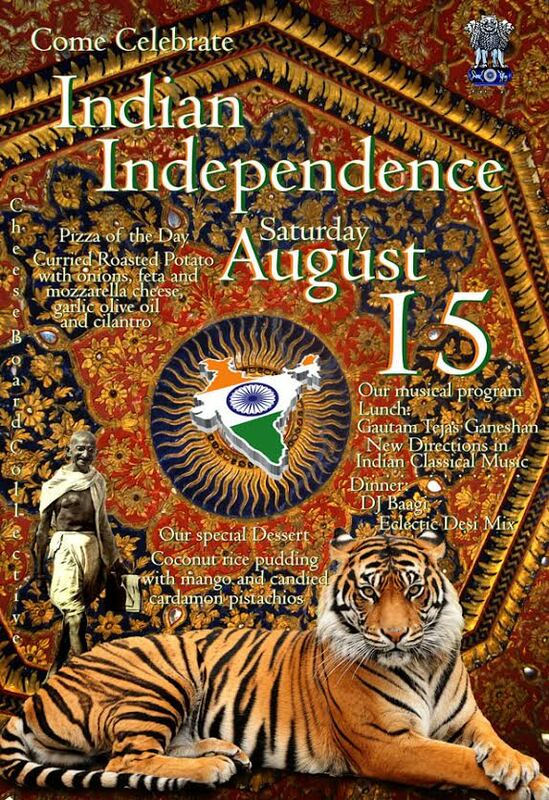 Come celebrate Indian Independence Day!